The 2018 Indian Premiere League (IPL) auction is all set to kick-off on the 27th of January in Bangalore. The two-day exercise will be keenly observed by cricket enthusiasts the world over. Over the past decade, the IPL has established itself as the biggest T20 league in the world and its auctions are grand events in themselves. In recent times, in fact, the IPL auction has had the effect of making or breaking players’ careers. Cricketers who feature in the auction list follow it with bated breath. With most of the franchises going with almost a clean slate this time, the 2018 IPL auction is full of promise. It will be interesting to see how things go, what shocks and surprises are in store for us and the players. 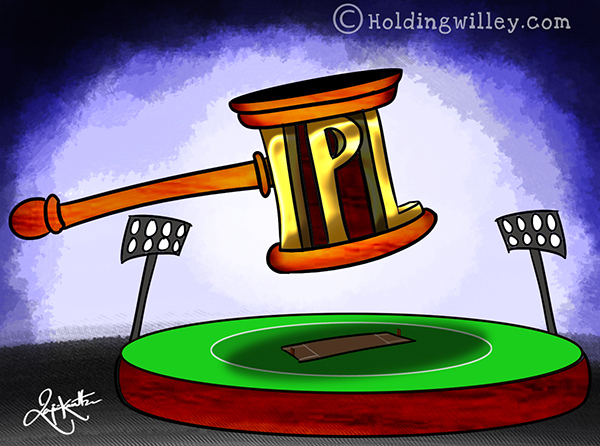 What can we expect from the forthcoming mega IPL 2018 auction? While IPL auctions always attract a lot of interest, this will perhaps be the first auction which will attract this magnitude of interest since the maiden one back in 2008. After all, barring a few players who have been retained by their franchises, almost everyone else will be up for grabs. This has infused a new edge and a great level of excitement to the auction. With a whopping 578 players featuring in the player pool for the eight franchises, this will be the biggest IPL auction in recent times. Big names like Chris Gayle, Kieron Pollard, Ben Stokes, Gautam Gambhir, Chris Lynn, Glenn Maxwell, and Harbhajan Singh, among a host of others, will be appearing in the auctions after a long time, making things very interesting. Expect fans, the media and the players themselves to be hooked on to every second of this mega auction. For too long now, the IPL franchises had a sameness to them. They had set up a core base of players and established their respective teams around them. This year things will be completely different. Almost all the franchises will be setting up their teams anew. A total of just 18 players have been retained by the eight franchises and hence there is great anticipation that the teams will look relatively fresh after the auctions are done. The likes of Gautam Gambhir, Chris Gayle, Yusuf Pathan, Yuvraj Singh, Kieron Pollard, Lasith Malinga, Shikhar Dhawan, Shakib Al Hasan, and Ravichandran Ashwin, who had been the loyal faces of their respective franchises for so long, are back in the auction pool after a very long time. This has added some much-needed drama, hype, anticipation and a new zing to the auctions. It will be very intriguing to see how fresh the squads will look like at the end. The IPL auction has come a long way. In its initial stages, franchises tended to spend astronomical amounts on acquiring big international names, even if they were not available for the whole season. With time, however, they have become more prudent in their approach and go for more talented local players who can give them better returns at lower costs. With a horde of uncapped Indian players – cricketers yet to make their international debut – up for grabs at the auction, and all the franchises rebuilding their teams afresh, there will certainly be a beeline for acquiring those Indian players. Names like Krunal Pandya (Base Price 40 lakh), Indian U-19 captain, Prithvi Shaw (Base Price 20 lakh), Basil Thampi (Base Price 30 lakh), Nitish Rana (Base Price 20 lakh), Mayank Agarwal (Base Price 20 lakh), Rahul Tripathi (Base Price 20 lakh), and Rajneesh Gurbani (Base Price 20 lakh) are sure to cause several bidding wars. After a hiatus of two years, the suspended IPL franchises, Chennai Super Kings (CSK) and Rajasthan Royals (RR), are back in the tournament. Both franchises, especially Chennai, have a massive fan following and their loyalists have been impatiently waiting for them to return to the IPL fold. Both Chennai and Rajasthan will be the most closely observed franchises during the forthcoming auction. While CSK has retained MS Dhoni, Suresh Raina, and Ravindra Jadeja, Rajasthan has only retained Steve Smith. Over the years, Chennai had built its brand on having a powerful blend of consistent match-winners in their lineup and Rajasthan had established itself as the one nurturing young and hitherto undiscovered talents. Will the two go for the same approach in the coming auctions? Or will they take a different route in this fresh start? While it is true that the IPL franchises these days focus a lot on domestic talents, star overseas performers always tend to attract the highest bids. This time, there will be a lot of exciting, new international faces, along with a number of old ones who have not been retained by their franchises. Expect West Indian batting sensation, Evin Lewis, and the young Afghan wunderkind, Rashid Khan, to be the most sought after players this year in the auction. Then there will be big names like Chris Lynn, Ben Stokes, Colin Munro, Kagiso Rabada and Glenn Maxwell, who are certain to dominate the auction and draw huge bids. Old warhorses Chris Gayle, Lasith Malinga, Brendon McCullum and Dwayne Bravo may not be as destructive as they used to be, but they are experienced match-winners in the T20 format. While these players may not command the most extravagant sums, they will still cost the franchises a pretty penny. The IPL auctions in the past have thrown a lot of surprises and shown that it can be pretty brutal in snubbing big names. With time, this has become more and more common. 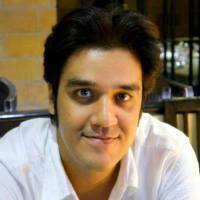 Irrespective of their reputation or past contribution to the game, a player will be picked if he is relevant and performing. Given their form of late, there is speculation that Ishant Sharma, Yusuf Pathan and Irfan Pathan may be ignored this time. From the overseas lot, Angelo Mathews and Eoin Morgan may not be picked because of their recent inconsistencies. Don’t be surprised if Dale Steyn and Laith Malinga remain unsold as the two stars have struggled badly with fitness issues. Franchises aren’t interested in having a player if they won’t be able to last the whole season. Everyone is waiting for the 27th and 28th of January with bated breath. Here’s hoping that the mega IPL auction 2018 lives up to the hype and provides a whole lot of excitement, along with oodles of surprises that will delight & dismay cricket fans before the main tournament commences in April.